Josh, Careers Fair Ambassador, explains why Careers Fairs are not just for graduate roles and tells us how they can benefit students in ALL years of University. 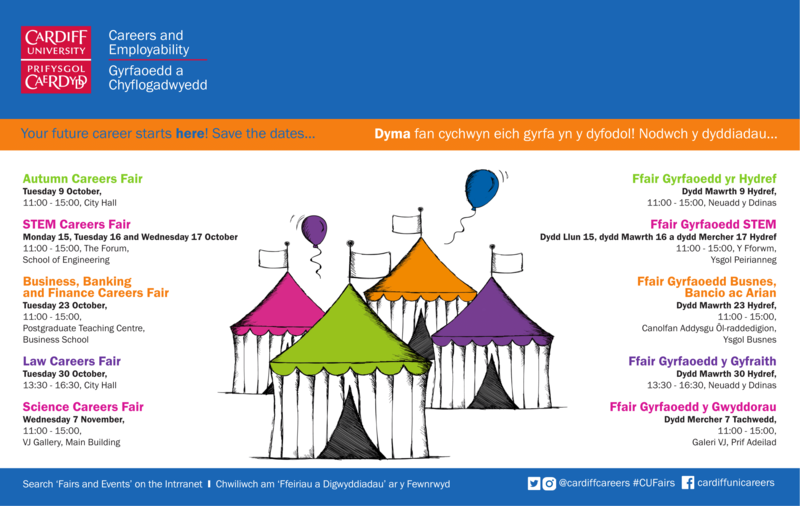 It’s October, and that means one thing, Careers Fairs! It’s that time of the year when soon-to-be graduates start to wonder what life outside the walls of university has in store and begin to plan their futures. However, it’s not all about the graduates. It’s about time we shed some light on the importance of these Fairs for first and second year students, as it’s a perfect opportunity to get ahead of the game and rise through the ranks of some top employers. I’ve only just started my degree, are the fairs right for me? If you fall into the category of thinking that the fairs are solely for graduates, THINK AGAIN! It’s never too early to start thinking about your future. This is the perfect chance to gain a competitive advantage for yourself by getting one foot in the door of some of the most recognised national and international employers, discover exciting career paths and to gain valuable experience. The Careers Fairs are extremely varied with so much to offer to students in their early years of study. Whether you’re looking to plan your future, gain a deeper insight into top employers or are just looking to see what opportunities are on offer, we have you covered. The employers that are showcased at the fairs have some of the most sought-after and valued work experience, placement and internship opportunities in various fields. Don’t just take my word for it …. So get ahead of the game and go to any of the Careers Fairs coming up over the next two months and get ready to kick-start your future careers!! 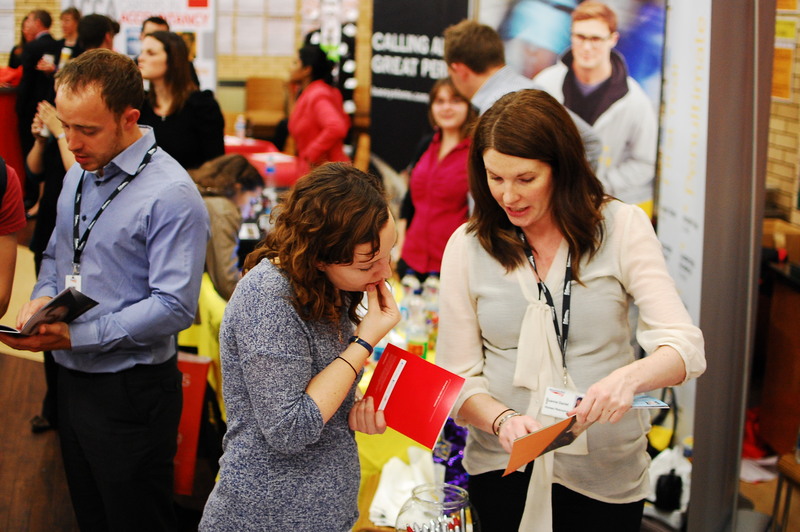 Find out more about the Careers Fairs and Employer Events on campus this term on the intranet.